We make corn tortillas daily in London. 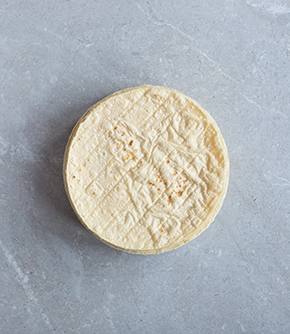 Our tortillas come in two colours, white or blue and are made from Mexican masa harina (ground nixtamalized corn flour). We offer a range of sizes, from 6cm bite size for party snacks to 20cm whoppers for giant flautas or rolled gluten free burritas. You can choose to buy a handy pack of 10 tortillas or a catering pack of a kilo which has varying number of pieces according to size. They are free from preservatives and therefore need to be refrigerated or the freezer. They are also free from GMO ingredients and naturally gluten free. 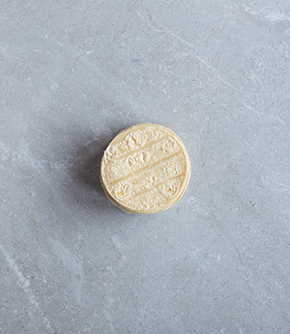 When fresh, our corn tortillas are best eaten soft, simply warmed through. Serve them in a basket and eat as you would bread alongside a meal or fill with a topping for soft tacos. After a few days, when dried out slightly, our tortillas can be fried or baked (either cut up or whole) to give them a new lease of life – just as stale bread is great toasted. These are for dishes such as tostadas, chilaquiles, crispy tacos, flautas and of course totopos (corn chips). In Mexico, corn is precious and it’s never allowed to go to waste. The difference in taste between the blue and the white tortillas is negligible so choose your colour to contrast with your filling or topping. 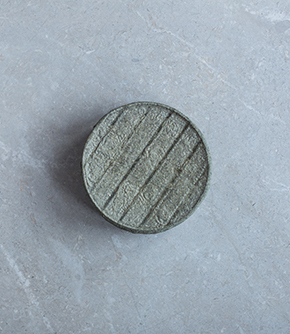 Our blue corn tortillas are made from naturally blue corn and can range from grey to green-blue in colour. Blue tortillas look particularly good when fried, contrasting with colourful toppings like avocado, prawns and radishes. Classic white tortillas look amazing served alongside dark rich colours, whether it’s dried chilli purees, beans or barbecued meat. Smaller tortillas make quick bites and are perfect for parties when people are standing; larger tortillas are best for bigger tacos with chunkier fillings, or for making big family-sized quesadillas. 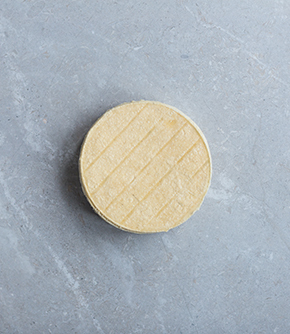 Bite Size 6cm corn tortillas are our smallest size, they are easy to eat with a glass in one hand, and perfect for canape-style nibbles. Allow 8-10 per person on average. Available in both blue and white. Taqueria 12cm corn tortillas are the size most often used in taquerias; slightly larger, they allow room for more toppings. Allow 4-6 per person on average. Available in both blue and white. Table 15cm corn tortillas are a great size for home use, perfect to serve at the table in a tortilliera to mop up sauces or for tacos with chunkier fillings, or for making quesadillas, enchiladas and huevos rancheros, they are available in both white and blue. You definitely want to be sitting down to eat these tortillas, with a napkin to hand. Allow 2-3 per person on average. Available in both blue and white. Oversized 20cm corn tortillas these are big! and being made corn are more delicate than flour, roll (not fold) for traditional burritas or huge flautas, they make giant quesadillas like you find in Oaxaca so are good for stuffing with squash blossoms and other bulky ingredients or cut into long totopos for canapés. Available in both blue and white. Have a look at our machine ‘El Monstuo’ producing toasty, wholesome corn tortillas; all that is missing is the wonderful smell that wafts off of the comals. Add a tortilla to a dry frying pan over a medium-high heat. Toast both sides until warmed through with little brown spots. If your tortilla puffs up, superstition has it that you’ll fall in love… on the other hand, if you drop a tortilla then you may have some unexpected visitors! Keep warmed tortillas in a clean folded cloth (a tea towel is perfect) until you are ready to serve them – the sooner the better. Revive tortillas that are a day or so old by patting with a little water before warming. Heat oil in a fryer, or a deep pan, to 180C. Fry tortillas in a single layer for about 1 minute, turning to ensure they cook evenly. Remove from the fryer or pan – they will still be pale but will continue to brown as they cool – and leave to drain on kitchen paper. If you like, sprinkle with salt while still warm. When cool, they can be stored in an air tight container. To oven bake, brush tortillas with oil and place on a rack in an oven preheated to 180C (fan is best). Cook until crunchy, for around 5-8 minutes. Baked tortillas are more substantial and crunchy than fried and deliciously corny tasting! A tostada is a fried tortilla,totopos are tortillas that have been cut into triangles before frying, and ataquitois a taco that is filled and rolled up into a cigar shape before frying. How else can you use stale tortillas? Cut them into strips before frying to make a crunchy soup garnish. It is best to freeze the tortillas on the day of purchase and consume within one month. To cook from frozen, prise one tortilla off at a time and heat in a hot pan on both sides or defrost the whole un-opened packet overnight in the fridge, this is to prevent curling as the tortillas defrost, then cook as desired.